For a nation to be healthy, strong and productive, the nutritional status of its people must be good. Good nutritional status is achieved not through tablets and pills but through well-balanced diet. There is no known nutritional deficiency disorder that cannot be protected by proper diet. India is carrying the double burden of nutritional deficiencies among the poor sections of the population on the one hand and problems of overweight and obesity among the affluent sections attributed to wary diet and unhealthy life styles on the other hand. The department is committed to improving the patient's health and advancing the profession of dietetics through research, education and advocacy. Clinical Dietician Department at Fortis Escorts Heart Institute provides comprehensive inpatient nutritional care based on assessment and interaction with patients & doctor to improve the patient health status. Clinical Dietitian provides an array of patient care service, including nutritional assessment, counseling and feeding recommendation. Our goal is to spread awareness about dietetics and nutrition by promoting nutrition as an integral part of disease management. At Fortis Escorts Department of Clinical Nutrition and Dietetics, our highly experienced team of helps patients understand the need for a comprehensive and essentially therapeutic diet based on their conditions. Their years of experience and guidance is available at every rung of our health care system. Our highly qualified team of doctors uses a balanced approach of combining the right type of foods rich in different nutrients according to the individual needs with carefully calculated quantities of intake to make sure that you get maximum nourishment. We also aim to meet all the patients' requirements, maintain good food habit in the organization and maintain good interpersonal relations between the patients & staff. 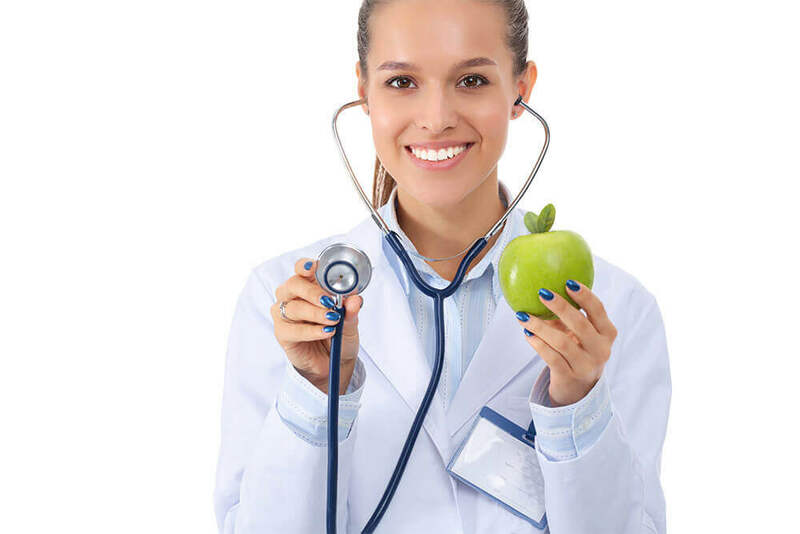 Our team of doctors has a vast experience in treating a variety of disorders including gastroenterological diseases and congenital metabolic disorders and also provide comprehensive knowledge about supplementing weight management, hypoallergenic diets, cardiac diets, diabetic diets, etc. The complete care process involves nutrition diagnosing, assessing, intervening and monitoring of the standardization. It is a condition when a person's body doesn't get the proper supply of nutrients due to not eating enough food according to the body's requirements. Starvation is a type of malnutrition. Malnutrition can occur even if your diet lacks a single vitamin. More often than not, most people don't even know that they are suffering from malnutrition unless it becomes severe and causes serious health issues. It's a major problem in the developing countries, especially among children. It is caused by the lack of vitamin D, calcium, or phosphate in the body. Rickets causes softening and weakening of bones and is one of the most commonly found diseases in children in many developing nations. Along with vitamin D deficiency, lack of adequate calcium is also a major cause of rickets. It affects the body's insulin production and supply. The food we eat is converted into glucose which is then used as energy needed by our body to function. Glucose is then transported to be absorbed by the blood with the help of a hormone known as insulin. Without it, our body is not able to obtain the necessary energy from the food. In case of diabetes, a person's body does not produce enough insulin as required, resulting in an increase in the amount of glucose in the blood, a condition called hyperglycemia. The high levels of glucose in the blood can lead to serious complications. Obesity is the excess amount of fat stored in the body. It is generally not a disease in itself but is a major reason for the onset of various other diseases. The main cause for obesity is consumption of more calories than needed because our body stores unused calories as fat. Obesity makes it really difficult for the people to carry out and therefore, should be treated at the earliest before causing any major damage. Being obese puts strain on the heart and can cause some serious health problems. Pregnancy is one of the most important phases in a woman's life and a proper and complete diet becomes more important than ever during that time. The diet you take during pregnancy can have lasting effects on you as well as the health of your newborn. Most women want to return to their pre-pregnancy weight as fast as possible but there are other factors affecting this like tiredness or soreness in the body, lack of ample sleep, lack of exercise, hormones and an improper diet which can be even more difficult to achieve with a baby to take care of. However, if you do eat healthy and well balanced meals with the right amount of calories and exercise regularly, the extra weight will eventually shed and you'll achieve your pre-pregnancy weight sooner.